More often than not, when a crystal pocket is opened during mining, it contains loose crystals that have somehow detached from the matrix. There is any number of reasons for this to happen. Frost can be very destructive to near-surface crystal pockets. In pegmatite deposits, a pocket explosion can scatter crystals hither and yon. Open crystal pockets can be assaulted by hot solutions, which can etch or otherwise damage crystals. Earthquakes undoubtedly play some role in pocket destruction. The normal activity of mining in hard rock, using explosives, is the most destructive of all. In some cases, mining is done specifically to extract specimens for resale, and mining methods have to been designed to preserve the integrity of the crystals as they are being uncovered. 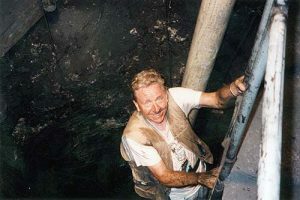 This specimen mining requires costly modern equipment and techniques to achieve success. To begin with, before the wall rock in an old mine tunnel is actually breached, it can be examined in a couple of noninvasive ways. Gold miners use powerful metal detectors to locate an area that might prove fruitful. This saves a lot of wasteful mining of barren rock, and may even avoid the use of explosives. A good example of this modern approach is the famous Dragon gold specimen, from the Colorado Quartz mine. The gold’s location, hidden within a tunnel wall, was detected with a metal detector. Very careful rock removal, though time-consuming, successfully extracted an amazing, beautifully crystallized gold specimen intact. Me on a dig at the Tequandama mine. 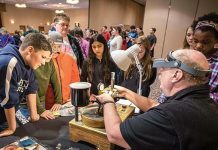 Metal detectors only work on metallic mineral specimens, but there is another machine that can be used to “peer” into a solid rock wall. You’ve seen this machine used to locate buried bodies on TV mystery shows: It is ground-penetrating radar. This remarkable unit can scan a tunnel wall, and the readings received can be studied for any anomalies in the solid rock. These can be changes in the type of rock or joints or, hopefully, pockets. The GPR does not detect crystals as such, but it indicates possibilities worth investigating. This technique was used in the search for rhodochrosite crystals in the Sweet Home mine, in Alma, Colorado. Once a suspected pocket, is found what next? Drilling and blasting the rock is counterproductive. Today, we have ways to crack and remove rock that are far less destructive than the good old hammer and chisel. In the good old days of underground mining, before dynamite and steel drills, miners had a quaint way of cracking rock and extracting ore. They used fire! To break up the rock and release an ore vein, miners would pile wood against the rock face, set it on fire to heat the rock, then quench the hot wall rock with water or vinegar, which caused the rock to crack. They could then insert chisels into these cracks and break out the ore. Of course, the health hazards posed by the fumes resulting from the fires underground, where ventilation was minimal, were simply ignored. With the advent of black powder, and later dynamite, mining could proceed at a much faster rate—but there was a cost. Using explosives is not the best way to expose delicate crystals. In Cosquez, Colombia, I watched miners recover gem emerald crystals in the Tecuandama mine without using explosives. They used an electrically powered drilling machine with what looked like an auger bit in it to make holes in the rock wall. They knew they were in fruitful areas when they could see small, brown parisite crystals in the white calcite. In the Colombian emerald deposits, this rare earth carbonate is a good indicator that emeralds are nearby. I asked my guide how much dynamite they would be loading into those drill holes, and his answer was, “None”. Later, it was explained to me that they tightly pack a special material into the drill holes. In a short period of time, this material begins to expand dramatically, and the pressure of the expansion cracks the rock around the drill holes. The miners then use levers and bars to split and dislodge chunks of calcite and, hopefully, expose the emerald crystals. I was very lucky to be taken to another part of the mine, where emeralds had already been exposed and were being removed by using a rock pick to chip away the calcite! The result was a handful of loose emerald crystals that were worth about $50,000. At that same mine, I was approached by a miner carrying a rather large rock. 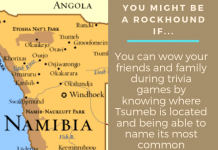 In that rock was an absolutely gorgeous, deep-green emerald about 1½ inch long. It was a real beauty. I asked the price and was quoted $35,000 right there at the mine. The interesting and surprising part was that, when the specimen was very carefully examined, you could tell the crystal had been removed and returned to the rock, but not before a narrow strip of green foil had been slipped under the otherwise very faintly green crystal. It is quite amazing what techniques are now used to extract specimens undamaged from solid rock without using explosives or even hammers! Explosives are still used to remove barren rock. When approaching a vein or potential crystal pocket area, the dynamite is put aside and out comes the diamond-tipped chainsaw. The saw starts cutting into the rock, but at a considerable distance from any suspected crystal pocket. The rock is gradually cut away to expose the crystal pocket as much as possible. Then, small power drills and chippers are used to gradually loosen the section of wall rock containing the crystal pocket. The intact pocket or crystals on matrix is taken to a workshop, where careful removal of the matrix trims the rock down to a manageable size. crystals, my son Evan Jones and his mining partner, Mark Miterman, exposed a wonderful, 6-inch-wide pocket of bright-orange-red wulfenite blades in solid rock. Any attempt to break the pocket loose would have shattered the crystals, which break like thin glass. It was obvious they could not just hammer and chisel the pocket out. 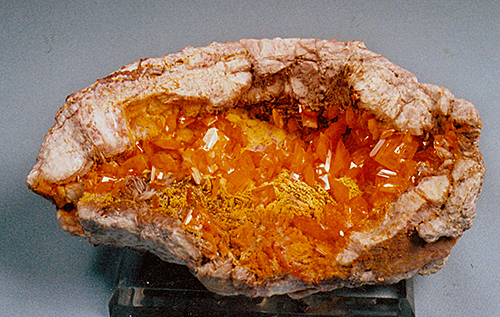 The rock had to be attacked at a distance from the pocket to preserve the integrity of the wulfenite crystals. At the time, they did not have the necessary tools to attack the wall surrounding the pocket. So while one fellow slept on site, the other collector went home and got what was needed to extract a large section of wall. Some 18 hours after first exposing the wulfenite pocket, a section of wall weighing over 50 pounds and still firmly holding that wulfenite crystal pocket was removed and muscled up a series of ladders to the surface. From there, the rock was taken to a specimen preparation laboratory, where rock was carefully removed a little at a time using a small, diamond-bladed saw, followed by a small vibration chisel. 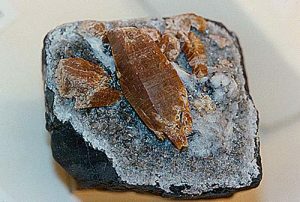 The final specimen was then air blasted, using small plastic pellets that very slowly chipped away at the rock to shape the matrix and expose the wulfenite pocket to its best advantage. Through all this, not a single wulfenite blade was cracked or broken. No matter how careful miners and specimen collectors are, damage happens. I’ve heard horror stories of miners drilling and blasting, only to find the contents of a huge crystal pocket shattered and scattered after the blast. A most interesting example is a fine specimen of native copper, which is on display at the A.E. Seaman Museum, at Michigan Tech, with the perfect impression of the business end of a drill bit. 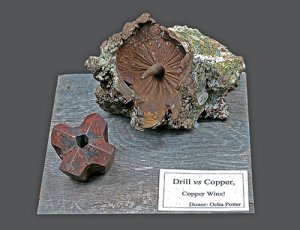 The drill bit bored right into the copper specimen, which the miner didn’t know was there! pocket can create havoc on already stressed crystals in that pocket. I have been guilty of that. On a group collecting trip underground at a lead-silver mine in the Patagonia Mountains of Arizona, we were looking for Japan Law-twinned quartzes, which were found in amazing sizes in this mine. In one old mine tunnel, we came across a partially exposed crystal pocket, in which a quite large pyrite crystal was nested. I didn’t even bother to examine the wall rock before bringing out the hammer and chisel. I started to work away to expose the pocket, hoping to get behind it far enough so that the crystal could be extracted. It turned out that the wall rock was garnetiferous, extremely hard and solid. Just a couple of blows with the hammer did the damage: The vibrations were transmitted right into the pyrite, which was probably under some stress. It literally exploded into brassy shards! On the positive side, there are some amazing stories of crystals being separated from their original matrix and reunited days or even years later. 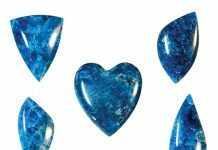 When the very attractive stalactitic azurite specimens were discovered in the mine at Morenci, Arizona, pretty much all the long, fragile fingers of goethite, beautifully decorated with bright-blue azurite crystals, had broken away from the matrix. Specimen collectors realized that these remarkable beauties could be reunited with their matrix by carefully matching up the broken ends. Several dozen superbly repaired matrix specimens were the result, and collectors were thrilled to buy them. Try as they might, the specimen miners could not put all the Humpty Dumpty specimens together again, which left them with a number of individual stalactites that were very pretty in their own right. My son Evan could not afford a really good, well-repaired stalactite goethite/azurite, so he bought one of the loose goethite fingers decorated with azurite crystals. Years went by, and Evan eventually had a chance to trade for one of the completed stalactite azurite clusters. When he got it home, Mark suspected that the loose goethite finger Evan had bought years earlier might match the new cluster. goethite/azurite finger matched an attachment point on the matrix, and it was returned to its rightful place! On a more distressing note, the latest methods of “creating” specimens can be really tricky. Measurements are taken of a loose crystal and a laser is used to drill a perfectly matching hole in a matrix that is a little light on nice crystals. The loose crystal is then cooled and inserted into the laser hole. 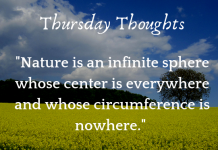 Once in place, it cannot be removed, and it looks perfectly natural in place. That, to me, is downright fraud, so my advice is to only buy from mineral dealers you know.